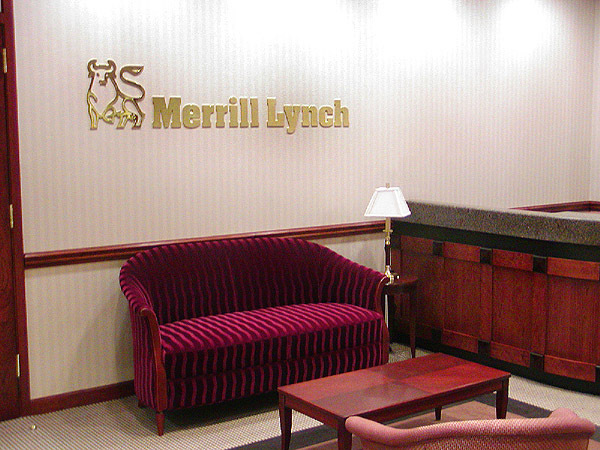 ﻿ Corporate Construction & Renovation: Merrill Lynch & Co. 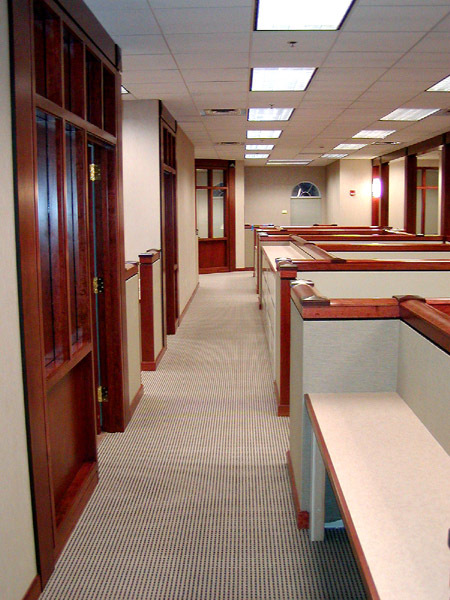 Serving Merrill Lynch as Construction Manager, ICS Builders managed construction of multiple executive and retail offices located throughout the NY/NJ/CT Tri-state area. 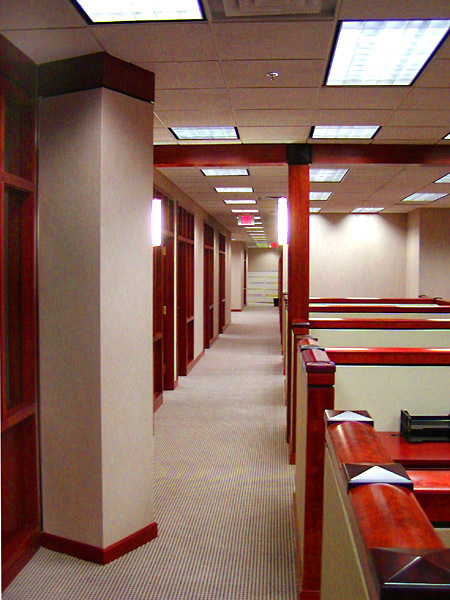 The projects typically included expansions and renovations or fit-outs of entrances, lobby/reception areas, and executive and open-plan offices. ICS installed MEP and telecommunications systems and infrastructure. 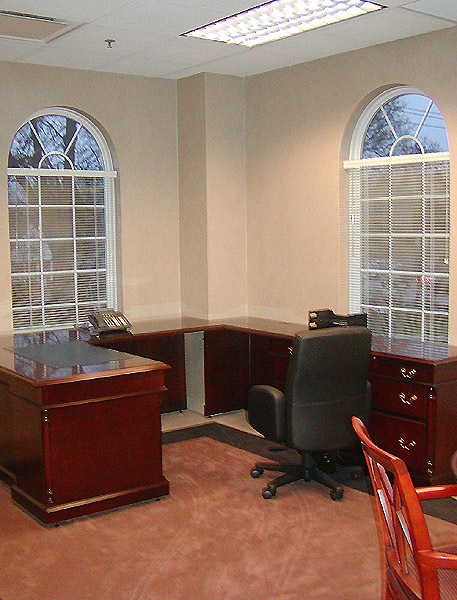 Interior finishes included high-end millwork, carpeted flooring, and acoustic ceilings. 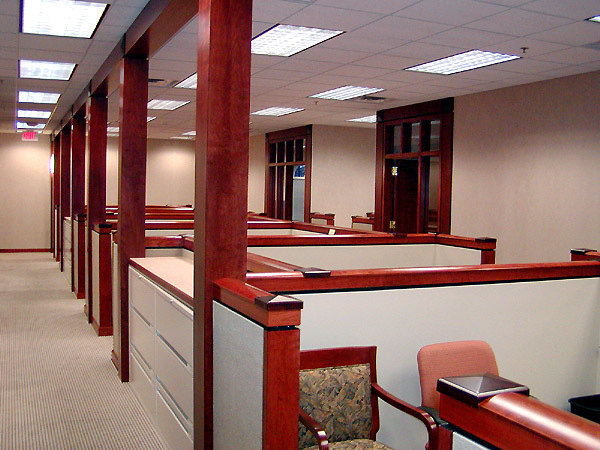 The project sizes averaged between 20,000 and 30,000 square feet. In Manhattan, ICS constructed the 12,000-square foot operations center at The World Financial Center and the $6.5-million, 60,000-square foot executive offices at The CitiGroup Center on Lexington Avenue at 53rd Street. 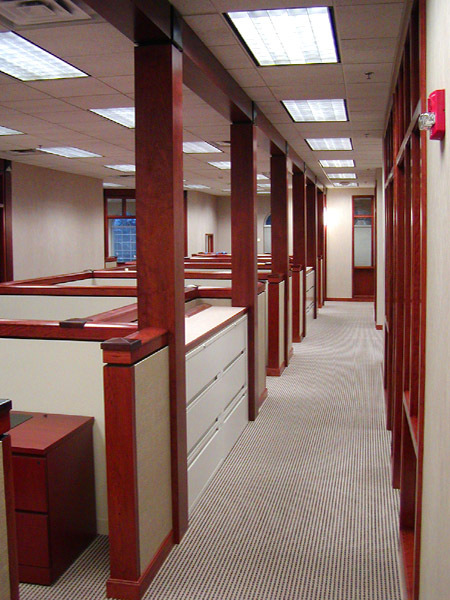 The CitiGroup Center project was a complete build-out of two floors, including an auditorium, an interior stairway, executive offices, team rooms, computer facilities, reception areas, and elevator lobbies. The finishes included mahogany millwork and paneling, cabinetry, and marble floors and counters. ICS also installed new MEP systems.